The NetApp Data Fabric Cloud Sync service provides a simple, automated way to get your data in to Amazon Web Services (AWS) and run a service (such as EMR, Redshift, RDS). Important: Do not launch this instance from the AWS Marketplace. 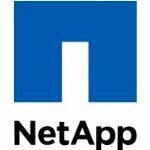 Please launch from http://cloud.netapp.com/cloud-sync. The NetApp Data Fabric Cloud Sync service provides a simple, automated method to get your data in to Amazon Web Services (AWS) and run an AWS service (such as EMR, Redshift, RDS). Cloud Sync is a single data synchronization service to rapidly move your data to AWS while converting file-based NFS data to Simple Storage Service (S3) object format. Cloud Sync enhances your ability to take small to large on-premises or cloud-based data sets into AWS S3 for analysis. The continuous sync of the data set only moves the deltas from the last sync, minimizing the amount of time you are replicating data. Cloud Sync insures your data stays secure by working within your security boundaries. For thousands of datasets from healthcare to financial services, you can utilize Cloud Sync as a quick and easy service to lower your total cost of ownership (TCO) in the cloud. Utilize scalable, on-demand data availability for rapid analysis with seamless integration to your existing infrastructure. Realize the power of the data fabric by getting your data where you want, when you want, for the best business outcome.